West Nile virus has been detected in a mosquito pool in Prince George's County, Maryland, health and agriculture officials said, the first such pool found in the state this year. Workers collected mosquitoes in Capitol Heights July 19, the Department of Agriculture said in a news release Tuesday. The Maryland Department of Health and Mental Hygiene confirmed the presence of West Nile virus in those mosquitoes July 27. A truck sprayed the area to control adult mosquitoes, officials said. 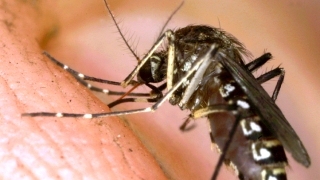 Health officials urge residents take precautions to reduce their exposure to mosquito bites.